Especially in cleanroom environments a clean working space is required to avoid the piling of contamination. This starts with order and cleanliness in your gowning room. All cleanroom articles should be properly put into cleanroom lockers ensuring a FIFO distribution of your cleanroom articles. 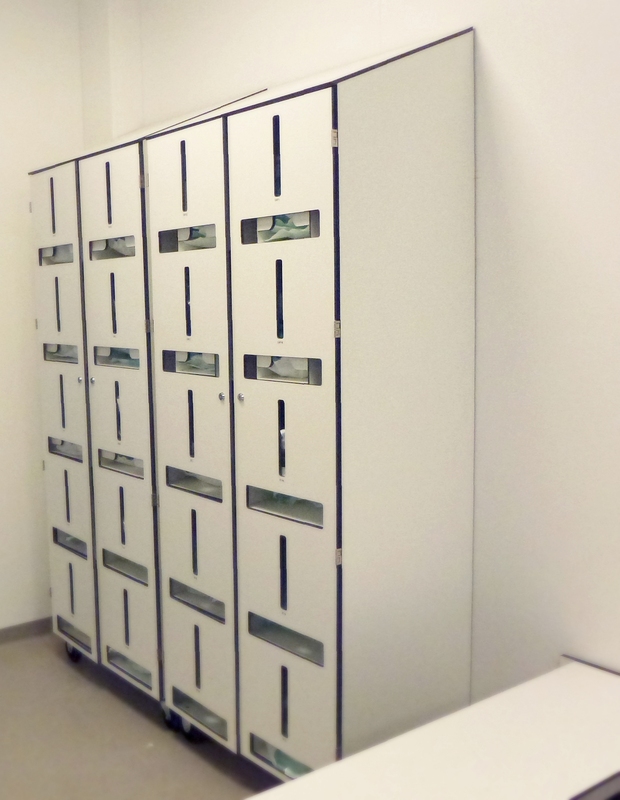 Prevent your cleanroom articles from surpassing the expiry date with manual or smart cleanroom lockers. These systems give you transparency in the consumption of your cleanroom articles and encourage operators to treat your articles with due care.